Australia, the Land Down Under, is the country I love and love to share with others! 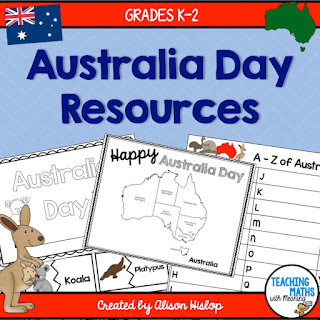 Even though I love creating Maths resources, I have also branched out recently and created some Australian resources, perfect for anytime learning about Australia. 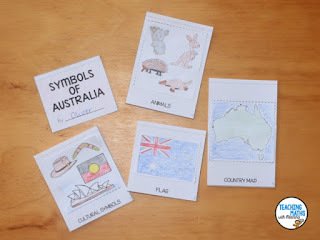 I'm sharing this Symbols of Australia flipbook with you, and best of all, it's FREE! 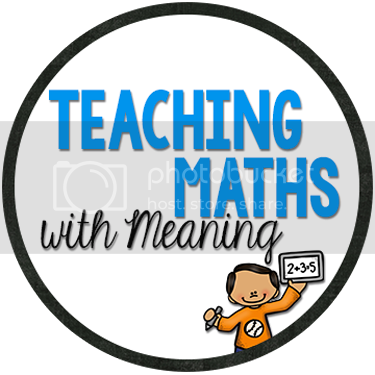 This is an easy, no prep activity that can be used across different year levels. 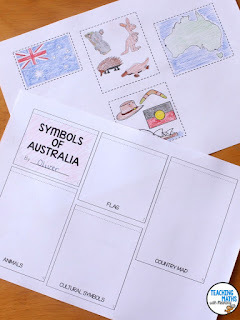 Early learners could colour, cut and paste the symbols and make their book. Older learners could research the animals or symbols. They could also add label and place names to the map of Australia. 1. Print out a copy of each worksheet for each student. Then spend some time colouring, labelling and discussing the symbols shown. Being an island, children can colour in the water around Australia and add labels to the body of water if they choose. 2. Students then cut out each symbol and paste it in the correct location on the flipbook sheet. 3. Cut around the outside of each section of the flipbook. 4. The final step is to staple the 5 pages in the correct order (smallest to largest or as shown by numbers on each page). And there you have it! 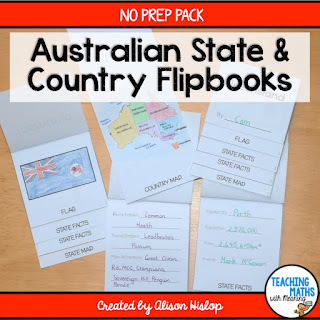 Your students have created a flipbook about Australia. You could then spend some time discussing and researching the different animals and cultural symbols shown. Children could also label the map and flap. 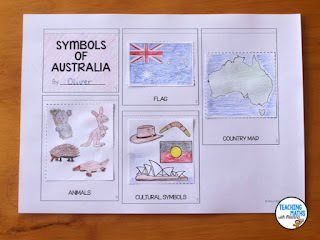 You can see some more ideas in my blog post 25 Resources and Ideas for Teaching Australia Day. Studying Australia in more detail? You will love these activities. 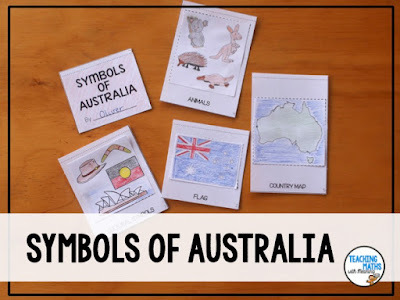 Download your FREE copy of Symbols of Australia here. 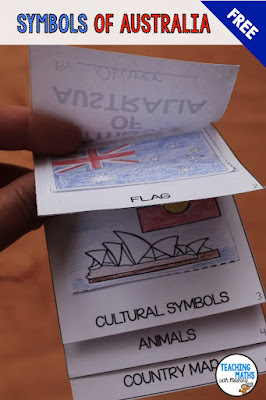 Your student will love creating this Symbols of Australia flipbook as a quick Australia activity or to launch an investigation into Australia. Have you got a favourite Australian activity? I would love to see it, list it in the comments below! Thanks for a very interesting blog. What else may I get that kind of info written in such a perfect approach? I’ve a undertaking that I am simply now operating on, top 10 delhi schools and I have been at the look out for such info.